A nice way to remember your pals that have gone to the Rainbow Bridge. 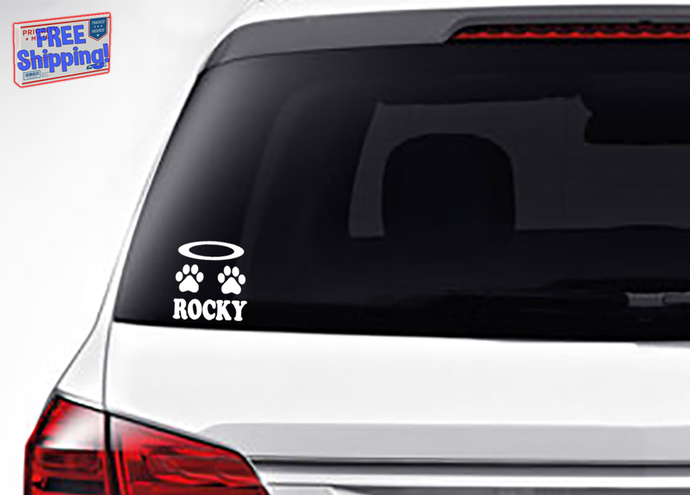 Our personalized Halo Paw Print decals will look great on your vehicle windows or other smooth surfaces. 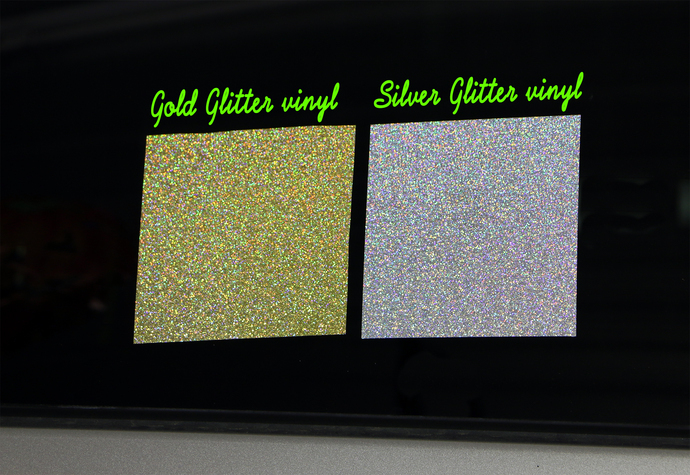 Choose our white vinyl decals or ones made of Gold glitter or Silver glitter sign vinyl. All vinyls are permanent adhesive backed, flexible, durable, resistant to sunlight, with a rated outdoor durability of 5 years. NOTE: This listing is for two (2), identical, exterior grade vinyl decals (halo, paws, with custom text). Please indicate in the "Message to the Seller" how you want to personalize the decal text (decal text will be all caps). In some instances, the seller may send a digital proof for your approval prior to production. If you would like a digital proof prior to production please note when providing the decal text.